Have you tried any of the hundreds of sensory activities on Pinterest? 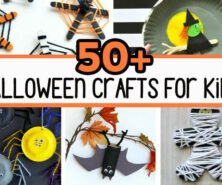 We are just starting to get into these activities as I need some new ideas to keep my toddler engaged and busy. 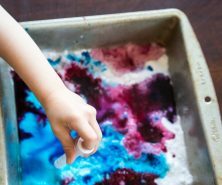 With winter or rainy summer days it’s great to have some easy sensory activities to pull out for your kids. 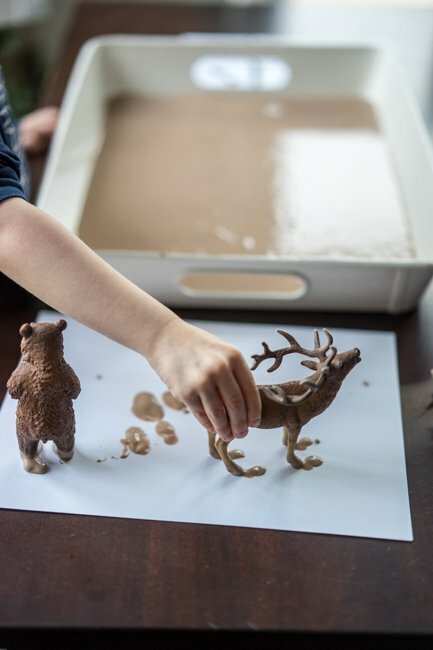 Want to know how to make play mud? 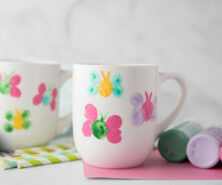 This is really easy to make and kids love it! I found equal parts water and flour gave a nice consistency. But if you find it’s too runny or too thick just add more water or flour as necessary. The cocoa powder gives it that brown and muddy look! 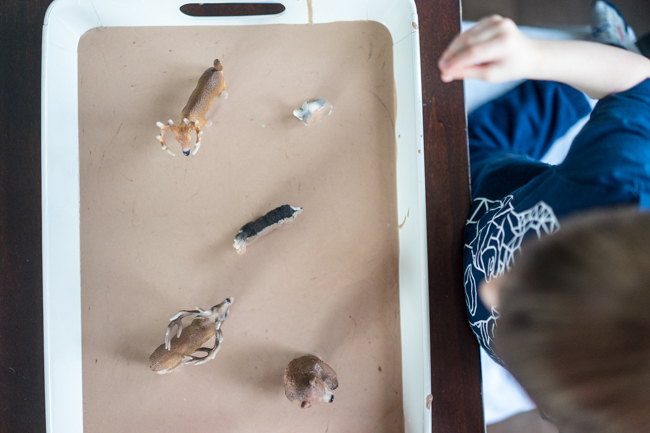 My toddler doesn’t really like to get messy…BUT he did love playing with this play mud! And he was having fun making the animals get dirty. 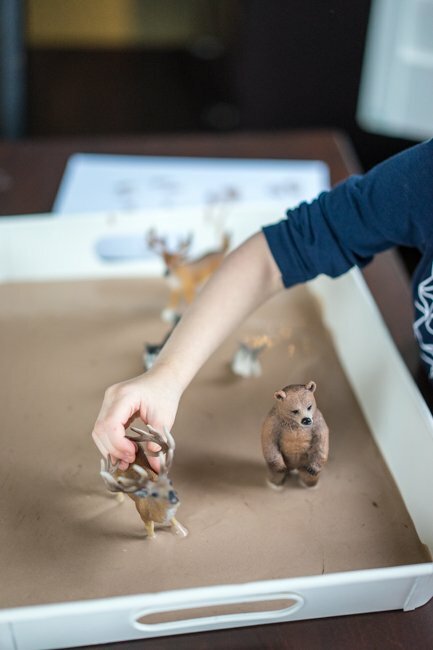 We used a variety of Schleich forest animals for this. But even muddy trucks would be fun too! 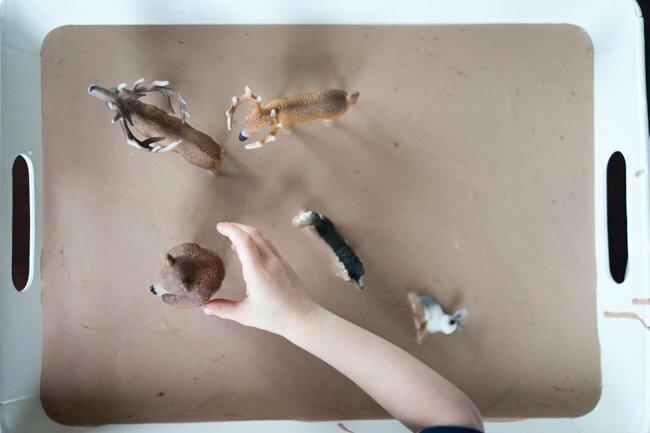 To make this activity a bit more educational you can talk to your toddler about the different tracks animals make. You can have them stamp the animals on some cardstock. They won’t exactly turn out like perfect tracks (you can try just a little bit of ‘mud’ but we just did it the messy way for fun). Want more sensory play fun? 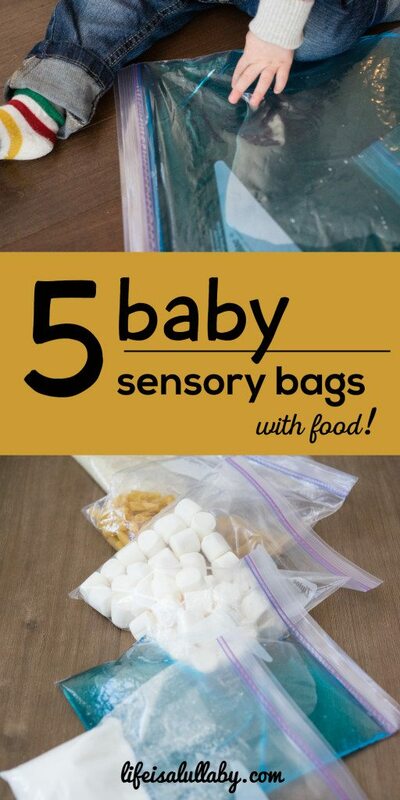 Try these 5 sensory bags made with food! 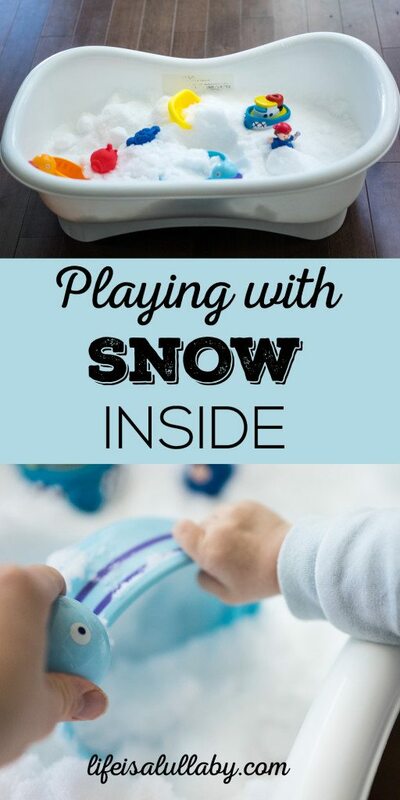 You also need to try playing with snow inside! Here are our tips for doing this!